The term includes schizophrenia. 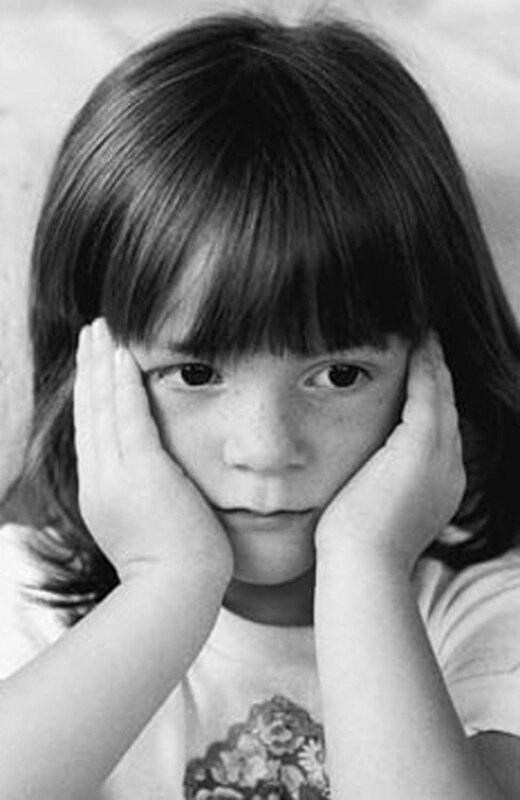 The term does not apply to children who are socially maladjusted, unless it is determined that they have an emotional disturbance (IDEA, 2004). Because the way a student behaves is often the challenge in the classroom, emotional disturbance is often referred to as behavioral disorders—even though the US federal Law IDEA refers to them as Emotional Disturbances. Children with the most serious emotional disturbances may have distorted thinking, excessive anxiety, bizarre motor acts, and abnormal mood swings. Some are identified as having severe psychosis or schizophrenia. The educational programs for children with an emotional disturbance need to include attention to providing emotional and behavioral support as well as helping them to master academics, develop social skills, and increase self-awareness, self-control, and self-esteem. One method is group contingencies. In a study involving students with emotional disabilities, researchers found that group contingencies can significantly reduce inappropriate behavior. Group contingencies take on three forms. Independent contingencies require each student to reach a criterion to receive reinforcement. If one student doesn’t reach the criterion, other students still have a chance to earn their own reward. Interdependent contingencies require all students to maintain a standard of behavior in order for anyone to receive reinforcement such as praise. If one student doesn’t reach the criterion, no one is rewarded. Another type of group contingency is when the teacher pulls a student’s name out of a hat, and if that student has met the criterion, everyone receives reinforcement. In the study, the three students were displaying inappropriate behavior 26-38% of the time before the study began (Bray, Kehle, & Theodore, 2004 p. 263). After using the three types of group contingencies, inappropriate behavior was exhibited between .35% and 4.14%. It made no significant difference which type of contingency was used; they were all beneficial (Bray, et al., 2004 p. 263). A method that may be particularly effective for students with behavior disabilities is “service learning. Service learning is a method that allows students to meet community needs through service that reflects their curriculum and gives students the opportunity to practice social and academic skills (National and Community Service Act of 1990). Service learning gives children who are always receiving services the opportunity to use and share their strengths and have a positive influence on others. This is especially important since, by definition, emotional disabilities often affect relationships. Students with disabilities and especially those with behavior problems, often don’t have a very positive image. Service learning allows them to increase self-esteem and to learn community support. Career education (both vocational and academic) is also a major part of secondary education and should be a part of the transition plan included in every adolescent’s individualized educational program (IEP). There is growing recognition that families, as well as their children, need support, respite care, intensive case management, and a collaborative, multi-agency approach to services. Many communities are working toward providing these wrap-around services. There are a growing number of agencies and organizations actively involved in establishing support services in the community. Bray, M.A., Kehle, T. J., & Theodore, L.A. (2004). A comparative study of group contingencies and randomized reinforcers to reduce disruptive classroom Behavior. School Psychology Quarterly, 19. 253-271. Individuals with Disabilities Education Improvement Act of 2004, C.F.R. Title 34, §300.8(c) (4) (2004). Maag, J.W. (2005). Social skills training for youth with emotional and behavioral disorders and learning disabilities: Problems, conclusions, and suggestions. Exceptionality, 13(3) 155-172.